TOKYO – November 21, 2016 – mobcast Inc. today announced the launch of two downloadable content (DLC) packages for Lumines: Puzzle & Music based on the music of Rez© and End of the World (a.k.a. SEKAI NO OWARI). Both packs are available now in global markets on iOS and Android devices for $4.99 each. Rez, the classic rail-shooter music game originally released for PlayStation 2, was also developed by Lumines series creator Tetsuya Mizuguchi. The Rez DLC is inspired by the recent launch of Rez Infinite on PSVR, and adds six new tracks to Lumines: Puzzle & Music. To celebrate the DLC’s launch, mobcast has also lowered the price of the base version of Lumines: Puzzle & Music to $0.99. SEATTLE – November 15, 2016 – Good Mood Creators today revealed that Mekazoo, the neon-infused, free-flowing co-op platformer, is now available worldwide for PC, and in North America for PlayStation 4 and Xbox One. Mekazoo will be made available for purchase for PlayStation 4 and Xbox One owners very soon in Europe. A vibrant trailer demonstrating the platformer in action has also been released, viewable HERE. Mekazoo is available for download at $19.99. SEATTLE – November 9, 2016 – Good Mood Creators today revealed that Mekazoo, the neon-infused, free-flowing co-op platformer, will be launching on November 15, 2016, for PC, PlayStation 4, and Xbox One in global markets, with the exception of PlayStation 4 in Europe coming soon. A brand new co-op trailer also accompanies the launch date announcement, showing off a glimpse of its “hive mind” multiplayer mode where two players must work together by strategically switching control between Mekanimals in order to advance through the game. Mekazoo will be available for download for $19.99. SAN FRANCISCO – October 25, 2016 – Set your hands free and drop the selfie stick with Stance, the compact tripod for smartphones. Stance is a highly-portable smartphone companion that solves blurry photos and video, stabilizing and positioning the phone in seconds. Allowing the phone to tilt and rotate freely, Stance gives smartphones the support they need to capture great shots, and for hands-free communication via streaming apps like Periscope and Facebook Live, and video calls. From mobile lifestyle brand Kenu, Stance for iPhone®, and Stance for USB-C devices such as Android and Windows smartphones, are now available. OAKLAND, CA — October 20, 2016 — Steel Wool Studios — an independent VR development studio formed by creative veterans of Pixar Animation Studios, Lucasfilm, and Telltale Games — today announced that Bounce, a physics-based puzzle game, is coming soon for HTC Vive and Oculus Rift. Bounce combines the powerful narrative elements of feature animation films with the intricate gameplay mechanics of VR to create the ultimate puzzle adventure. Players are tasked with helping their playful robot companion, D1G-B, bounce, sling, jump, shoot, and roll his way through an increasingly complex labyrinth of rooms on a galactic spaceship to make his way to his final destination. LONDON – September 28, 2016 – SplitmediaLabs, the makers of industry-leading internet broadcast and live streaming software XSplit Gamecaster and XSplit Broadcaster, today announced the acquisition of popular live stream overlay management tool Strexm. With over 150k users, Strexm.tv is the premier cloud hosted overlay editor for the game live streaming market. Strexm plans to unveil their version 2.0 overlay editor at TwitchCon 2016 in San Diego. Version 2.0 of Strexm has been rebuilt from the ground up to provide the most efficient, dynamic and flexible overlay editor available to content creators. BEIJING – September 1, 2016 – Another Indie, a leading international indie games publisher, and co-publisher X.D. Network Inc., today announced Lost Castle is now available worldwide. Lost Castle is an action RPG beat-em-up with roguelike elements, optional local co-op and a “dark comedy” backstory. 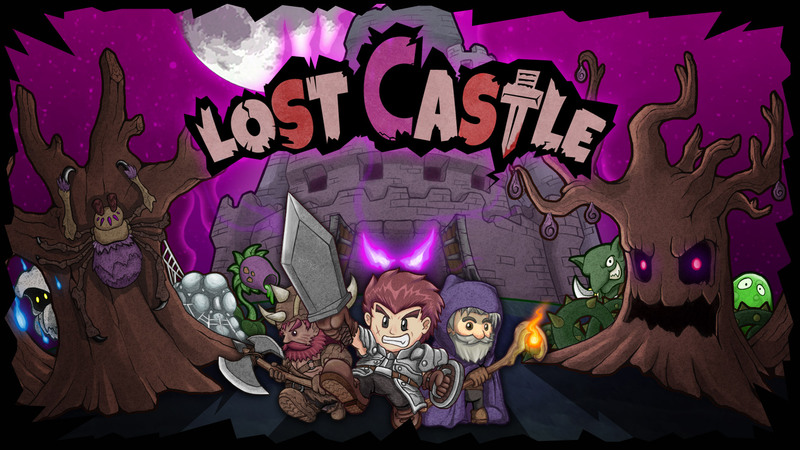 Already finding profound success with more than 130,000 initial downloads in Early Access, Lost Castle is now ready for players worldwide to storm its dungeons, downloadable for an on sale price of $7.89 USD on Steam until September 7.